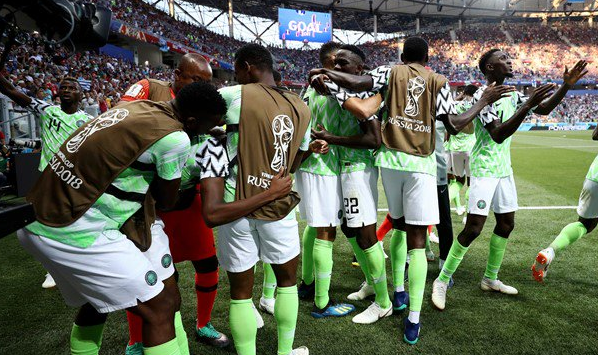 The victory of the Nigerian Super Eagles turned sour for residents of Enerhen suburb of Uvwie, Delta state on Friday as a 60 year-old football fan slumps and slipped into coma while celebrating the team’s second goal against the Iceland team. Emmanuel Emogware was watching the match along with other football fans at a barbing saloon at Omoru Street, Sedeco area of Enerhen when, during the euphoria of celebrating of Ahmed Musa’s second goal he slumped. He was rushed to several hospital, where doctors reportedly rejected him. “They tried several hospitals but doctors either refused to take him or demanded for money first. Someone suggested Ufuoma hospital in Agbarho. But while rushing him there they were caught up in traffic around the DSC expressway,” a source said. At the time of this report this morning, friends and relatives of the man were said to be running around looking for money for his treatment. A source in the area told The Nation that the man, who is popularly known as Papo, was a football lover and did not miss any of the matches. “We are appealing for well-meaning Nigerians to help this peaceful man at this critical need,” the source added. 0 Response to "Man Slips Into Coma While Celebrating Eagles Victory"